Food server Loreto Abacia was making the rounds at the Bureau of Immigration (BI) Warden Facility in Taguig City. Abacia was delivering food for the prisoners detained there. He was about to serve a meal to a 55-year-old American, William Mark St. Cyr. The food server, however, noticed the foreigner naked beside his bed. The American was in a kneeling position with his face on the ground. Abacia, however, ignored the foreigner and continued serving food to other detainees. Finally, he notified security guard Mario Paelan. Cyr was already dead; January 31st, 2019. William Mark St. Cyr was set to be deported to the United States this month to face trial on a charge of sexual exploitation of a minor. He died of complications arising from pulmonary tuberculosis, PTB, in his sleep, BI spokesperson Dana Mengote-Sandoval said in a statement. The BI is waiting for the full report from the National Capital Region Police Office on the autopsy of St. Cyr. 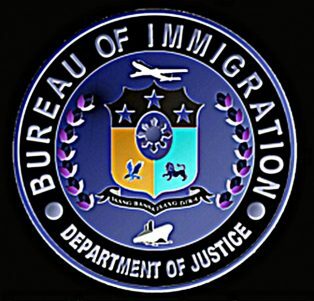 Detained in the Bureau of Immigration since 2013 due to pending cases charged against the American. St. Cyr reportedly had faced a case in the country for violation of the Comprehensive Dangerous Drugs Act of 2002, and a complaint for the Special Protection of Children Against Abuse, Exploitation and Discrimination Act. Both cases were dismissed. Consequently, deportation had to be postponed until the two cases against him were resolved Sandoval said. Sandoval said based on reports by BI Warden Facility chief Niño Dato, St. Cyr had been on medication since June last year and his last checkup was a month ago. Sandoval added that reports from Dato show that the foreigner “has been sick for some time,” and had been brought in and out of the hospital for PTB. “He has been prescribed continuous medication for his sickness when he was brought to the Philippine General Hospital,” the BI official said. Sandoval added that there was no recommendation for his confinement as PTB is already considered an outpatient sickness. Furthermore, the United States embassy has been informed of his death, Sandoval said.